A SEO Analyst plays a valuable role in helping companies implement successful online marketing tactics. Using their expertise, they can audit company websites and determine tactics to improve the site’s rank. With the help of an SEO analyst, many companies can improve their online presence, produce more efficient content, and reach more people. If you think you are a good fit for this role, then you should create an appealing resume objective. 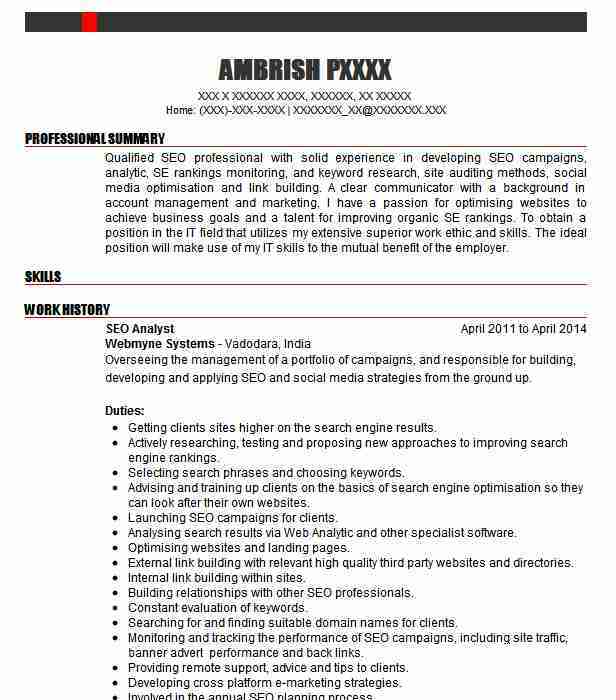 The SEO Analyst resume objective is probably the first thing a company will read when they are review your application. This statement should clearly state the reasons you are a good fit for the role. 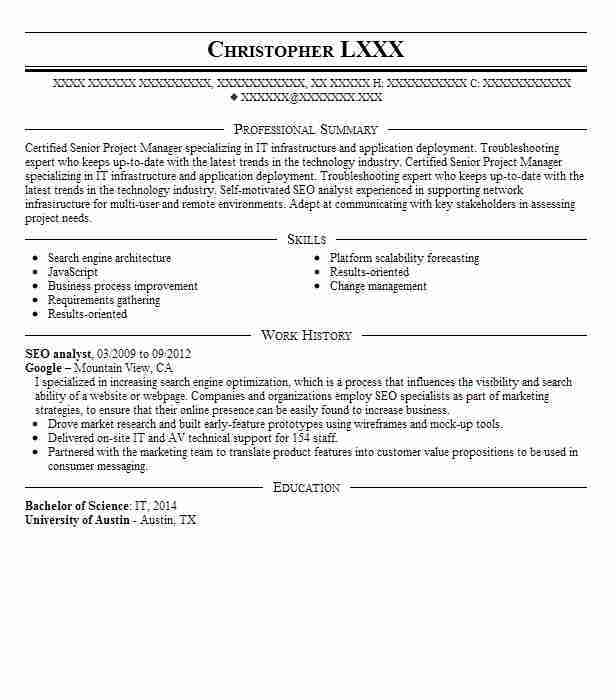 Make sure to highlight previous work experience, education, and any other pertinent information. The objective should be easy to read, so the company clearly understands why you are right for the job. 1. Obtain a job with ABC company as a SEO Analyst to use five years of experience in marketing, superior computer skills, expertise in SEO, and hard work ethic. 2. 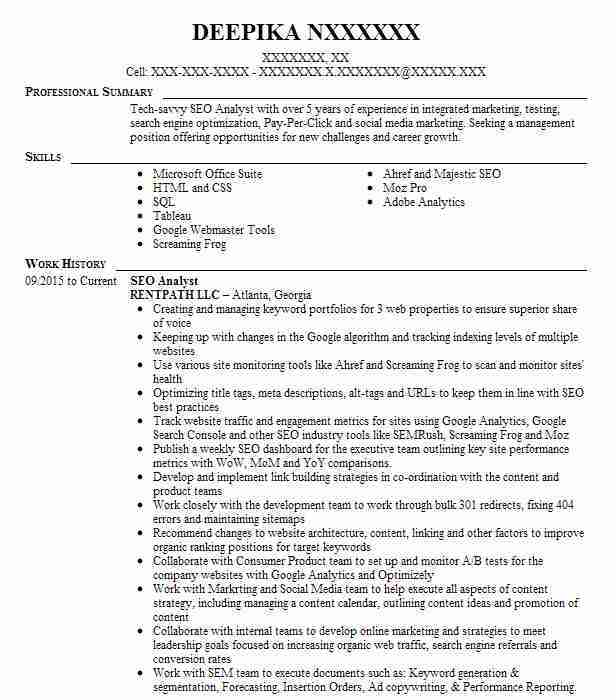 Smart, reliable individual who recently graduated from college seeks a job as a SEO Analyst with ABC company to use passion for technology and ability to increase website rankings. 3. Looking for a SEO Analyst position with ABC company to utilize extensive IT experience, five years web marketing experience, bachelor’s degree, and expertise in Excel. 4. 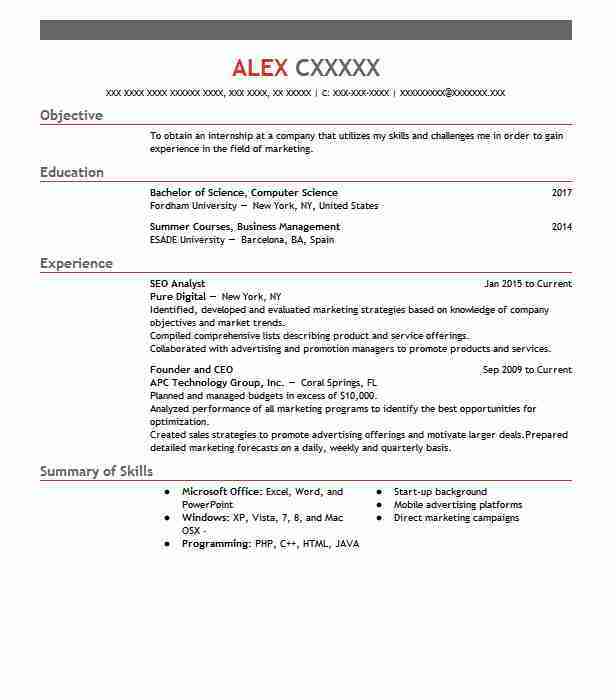 Capable college graduate looking to transition to the workplace and use expertise in SEO and marketing as a SEO Analyst for ABC company. 5. Seeking a position with ABC company as an SEO Analyst to use web building and content creation experience, bachelor’s degree, and expertise in Google’s webmaster tools.